The Alpine iLX-W650 just arrived at our shop last week and I was so impressed with its cute and tiny packaging, its long list of features, attractive user interface and ridiculous price point that I actually got excited enough about it to get out of my winter funk and finally write a new blog post. Winters are long and depressing in New England – sometimes it takes an exciting and innovative new product to thaw me out. My interest perked up the moment I un-boxed it. Check this thing out. Don’t let the size of this cute little baby radio fool you, it is packed with quality features at a price that is hard to beat (as of this writing – $299.99). 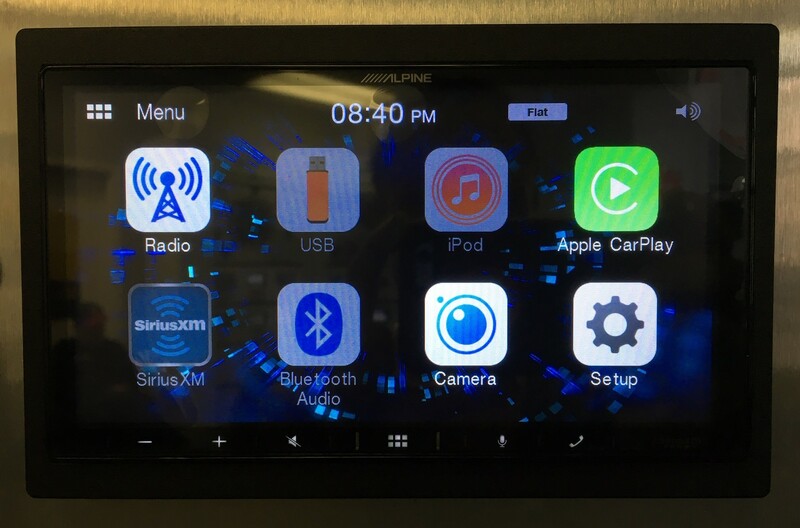 Aside from its attractive shallow mount design, the Alpine iLX-W650 features a gorgeous and responsive 7″ capactive touch screen with large icons, easy to navigate menus, Apple CarPlay and Android Auto. The shallow mount install is ideal for a lot of vehicles owners out there with limited sub dash space who are interested in upgrading to newer technology such as Apple CarPlay and Android Auto. Some vehicles, such as BMW 3 series 1999 – 2006 E46 body style, normally require major surgery behind the dash to accommodate a traditional double din sized radio. With the super shallow mounting depth (just under 3″ including the face) you can shave off some of your install time and the headaches involved in sub dash modification installs. Un-boxing this new Alpine model, I immediately noticed the the design and construction of this radio is unlike any other models in their line up. It has a distinct backside appearance reminiscent of what we see in OEM equipment. Curious, I decided to check the box to see where this particular radio is manufactured. I was surprised to see it is made in Korea. I think that’s a first for Alpine (as far as I can remember). 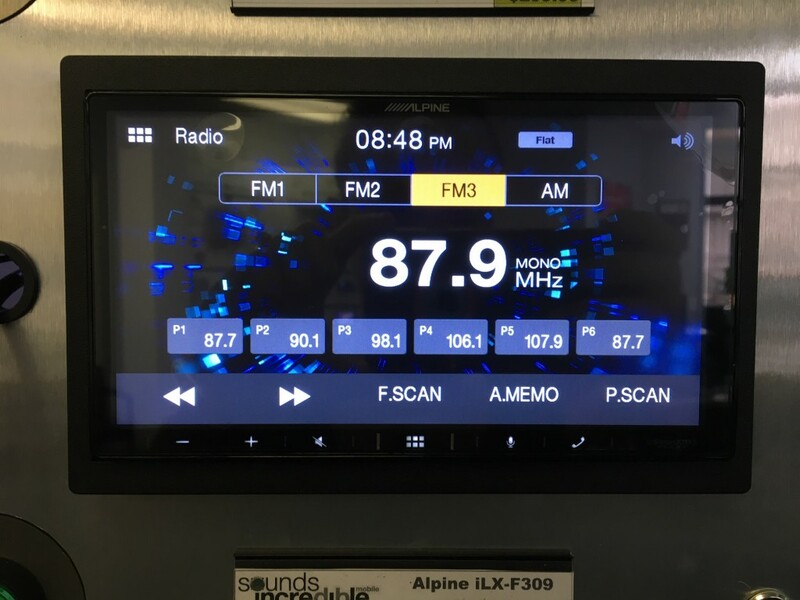 Alpine also has radio models that are manufactured in Japan (ilX-107 and iLX-207), China (Halo 9) and Thailand (most of their single din units). There is a level of attention to detail that I don’t normally see in Alpine that is apparent on the iLX-W650. 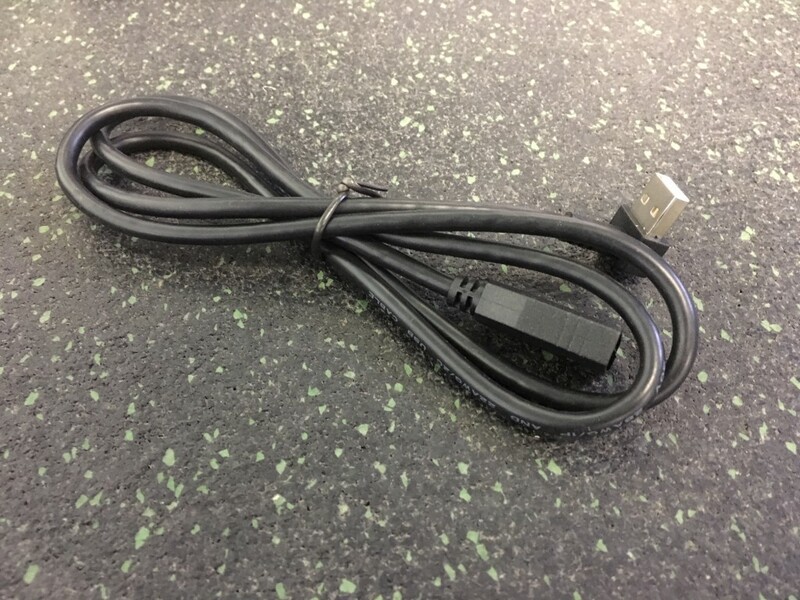 For example, even the USB cable included has a right angle design to help in tight space installations. And despite it’s small footprint, the Alpine iLX-W650 still feels substantial in my hands. It doesn’t feel like a cheap radio although it has an aggressively cheap price tag. Just look at the beautiful touch screen display and easy to navigate home screen. Keep in mind, I still have the protective cover on the display. I was thoroughly impressed with not only the sound quality of this radio, but the ease of sound control. There are a variety of sound adjustment menus in this radio from basic to advanced. One feature of the iLX-W650 that I really like is this dual audio control functionality. Not everyone knows how to set up a 9 band parametric EQ, time alignment and crossovers. For a more basic tweaking, there is a simple audio menu where you can adjust things like Bass, Mid Range, Treble, Balance/Fader, Sub level control or choose from a variety of preset EQ curves such as Flat, Classical, Jazz, Pop, Rock or Custom. 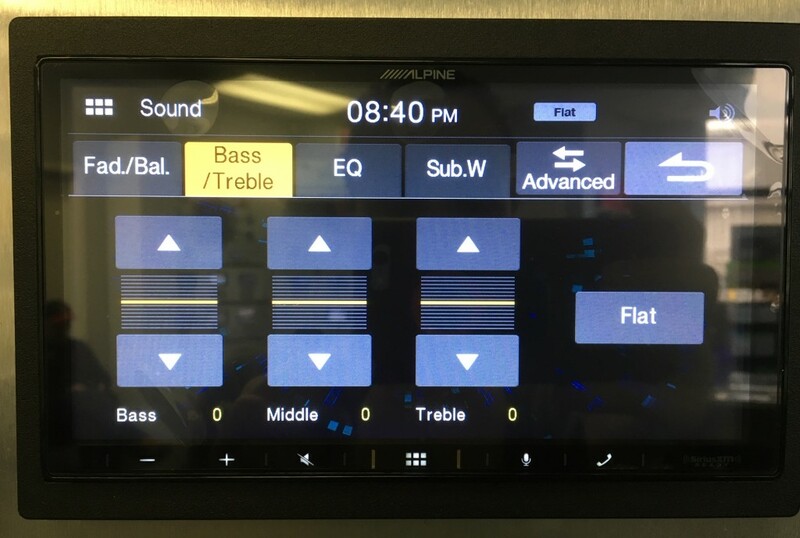 For the folks that do know how to fine tune an audio system, they can appreciate the advanced audio controls. You can easily switch back and forth between the two screens by tapping the Simple or Advanced button on the top right. Another great benefit is you can quickly save various EQ curves to different presets which I always like to do for customers. We typically save one preset for them and if they want to play around with it, they can easily revert back to our original tuning by simply tapping the preset to recall our audio settings. For a $300 radio I was surprised to have more than one camera input and equally surprised at the variety of adjustments that can be made to them. This radio has two camera inputs that can easily be assigned as a front and rear camera, a left or right camera or other type of camera (rock crawling camera maybe?). 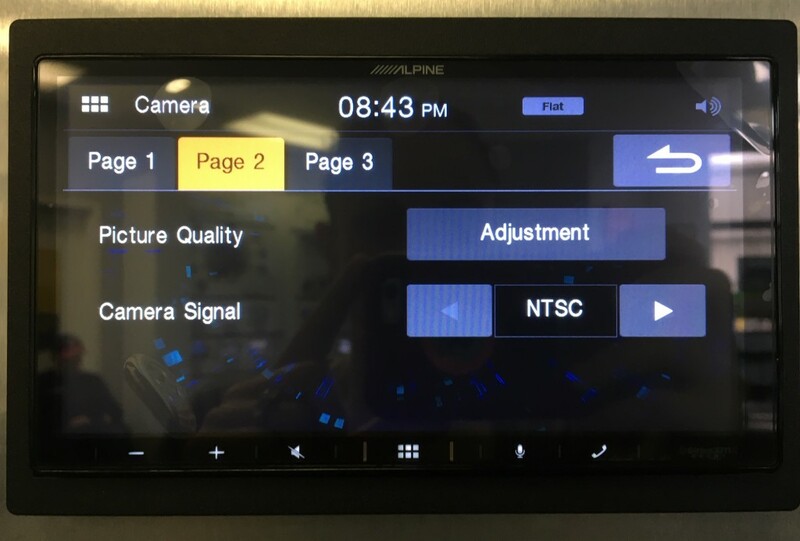 Not only can you assign the different camera functions, you can easily turn on/off the park guidance line feature and adjust it to your particular vehicle and camera angle. One particular camera feature I have not seen before is a separate picture quality adjustment menu just for the cameras. I cannot recall seeing another radio with this feature. Even in Alpine’s line up, their higher end Halo 9 and iLX-207 appear to lack this particular feature. 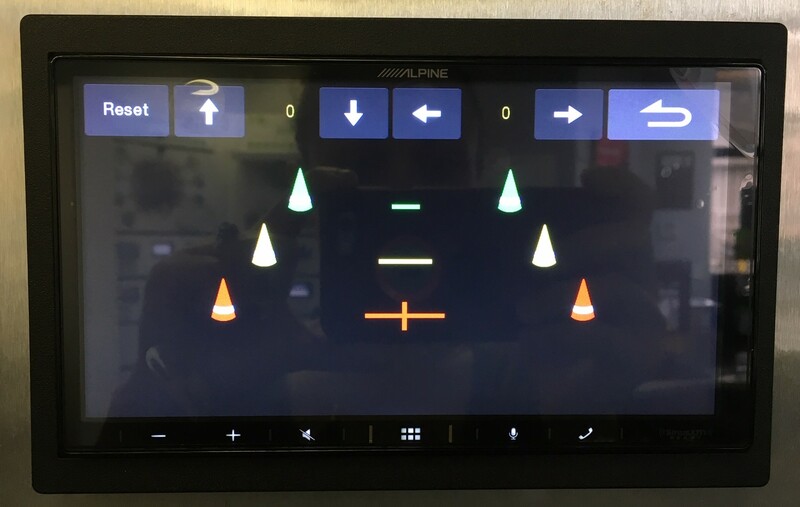 Alpine iLX-W650 Review – Okay so what is it missing? No CD player – this is a mechless unit, but who uses CD’s anymore really? That last one is really important. 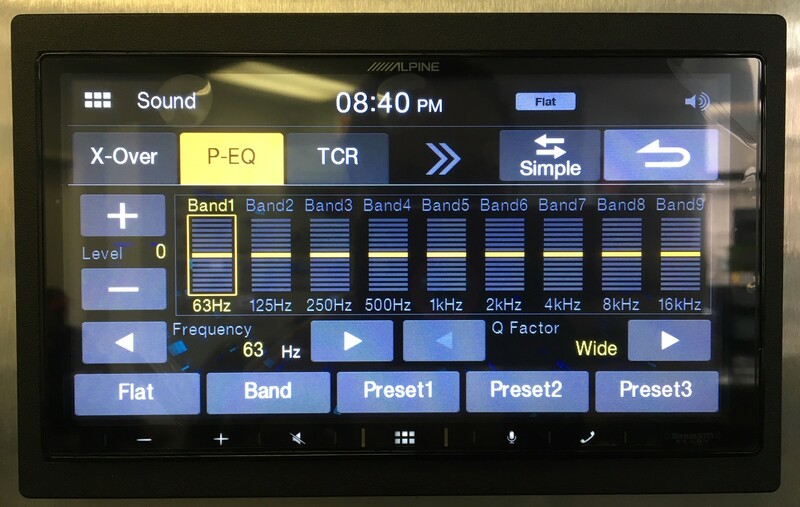 There are certain vehicles on the market where if you really want to upgrade your radio, to do it properly in a nice seamless fashion, you need a radio that supports iDatalink Maestro with serial data connection. For example, vehicles such as a 13-up Ram 1500 or 14- up Chevy Silverado have a lot of info piped through the factory radio such as climate control display, vehicle settings, OEM reverse camera/park sensor display and more. In these particular vehicles, a Maestro compatible radio along with the iDatalink Maestro RR will allow you to retain all those important OEM functions. However, in some vehicles you can still use the Maestro RR simply to retain your steering wheel controls using the wired steering wheel input of this radio (such as in a 2014 Jeep Wrangler), but that isn’t true for every vehicle. If you’re not sure what you need, be sure to check out iDatalink’s flash simulator. Click on the right where it says “Start Weblink Demo” and you can punch in your vehicle info and radio info and see what options are lost/retained and see how it varies depending on what radio you select and what type of connection you select (serial port or wired remote). Additional install notes to keep in mind. This unit has a single rear USB port so you may want to route and flush mount the USB in a convenient location. To do that, you want to use a high speed USB C compatible adapter. We use the Pac Audio USB-DMA1 (also available in different lengths: USB-DMA3 or USB-DMA6). 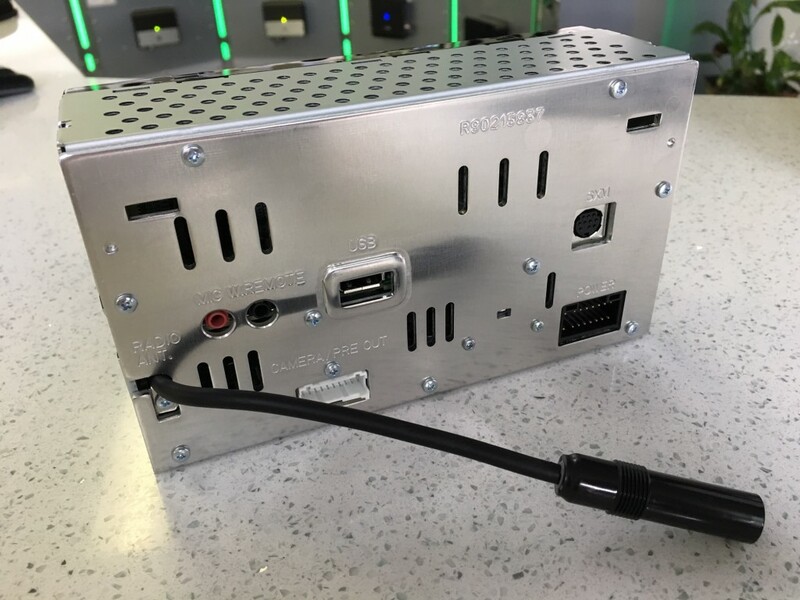 Additionally, although this is not a video player, there is a parking brake wire connection that needs to be made in your installation (in order to install these units on display, I use the Pac TR1 relay). 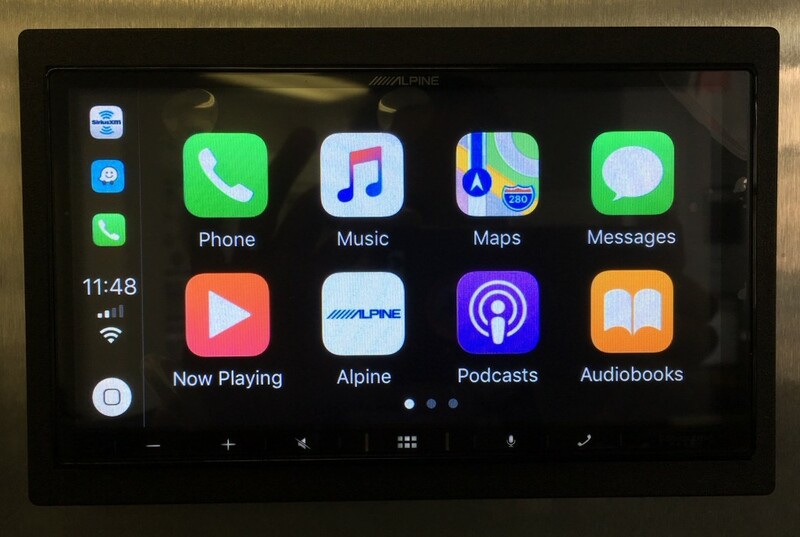 Although it’s still early in the year in terms of car audio, I think it’s safe to say the Alpine iLX-W650 is the best value Apple CarPlay and Android Auto radio on the market at this time. Not only is it packed with a ton of features, it has an intuitive interface, responsive touch screen, great sound quality and it’s easily expandable into a full high fidelity sound system. As a car audio specialist, I can easily see myself selling many of these radios. It’s too easy to combine the iLX-W650 with the KTA-450 power pack (which retails for $199), quality aftermarket speakers (their new Type X are pretty awesome by the way) and Alpine’s little under seat amplified subwoofer (PWE-S8) and whamo – I’ve just created a full system audio overall for a client at a fantastic price. 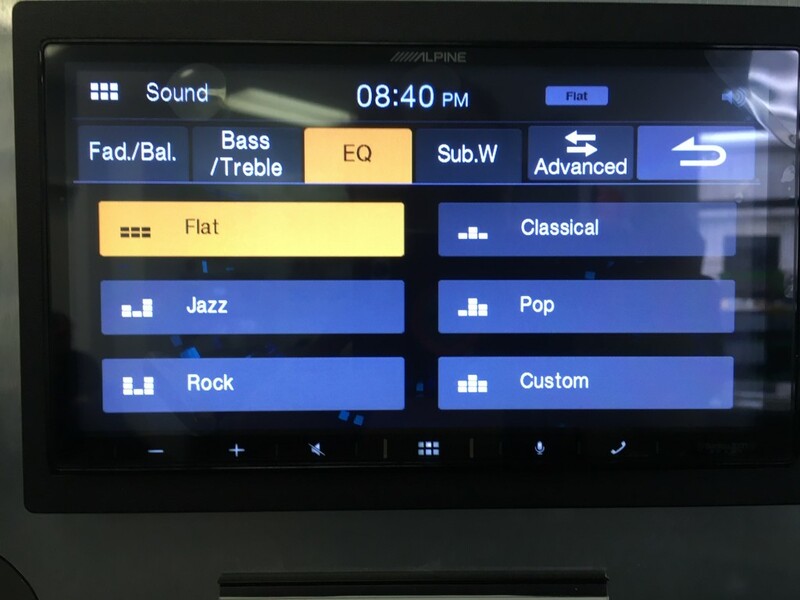 For anyone looking to build a quality sound system on a budget, Alpine definitely has the products to do it with. 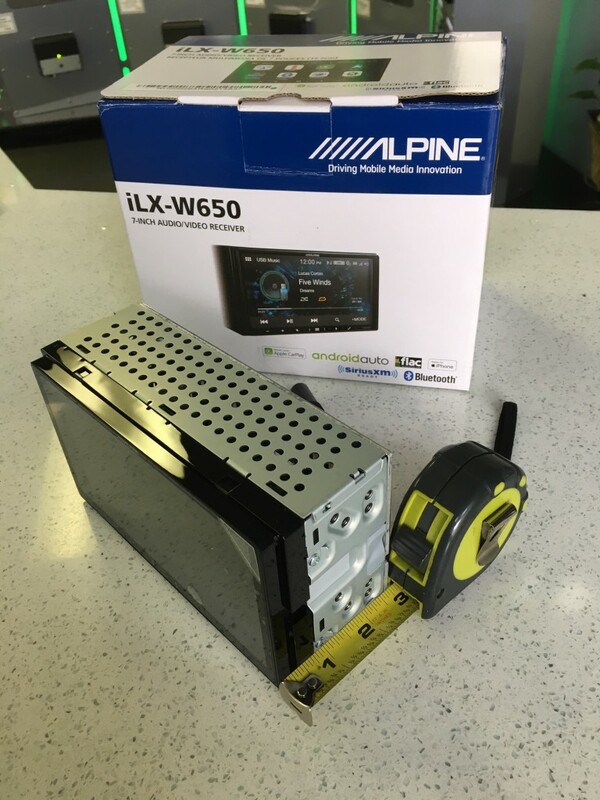 Whether you’re looking to create a full system or just looking to upgrade your car radio with newer tech like Apple CarPlay and Android Auto, the Alpine iLX-W650 has what it takes to get the job done at a very fair price.